Situated a one-hour drive south of Brisbane, the Gold Coast is one of Australia’s most popular travel destinations for both Australian and international tourists. 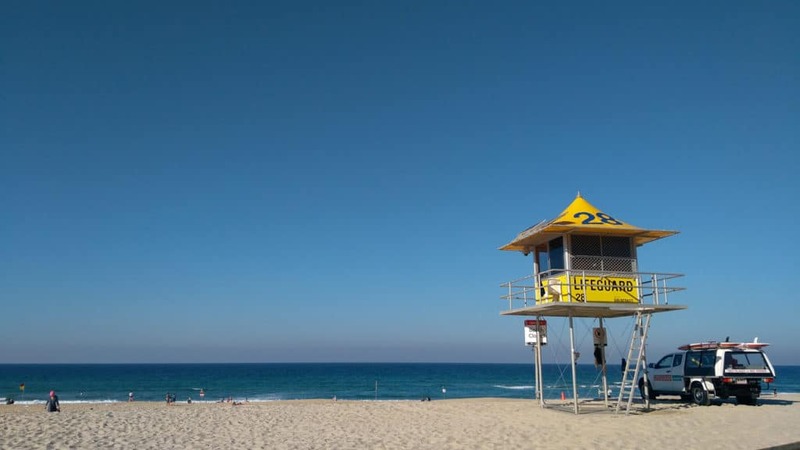 Built 60 years ago, Gold Coast City is a sprawling urban area that stretches 60 kilometres along the Pacific coast, from the city of Beenleigh in the north to the state border of Queensland and New South Wales in the south. 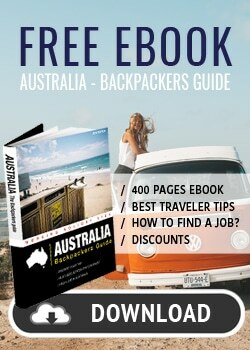 It includes the towns of Surfers Paradise, Burleigh Heads and Coolangatta, just to name the best known. 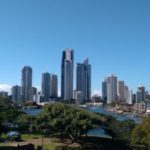 With nearly 600,000 inhabitants, the Gold Coast is the second largest city in Queensland, after the capital Brisbane, and the sixth largest city in the country. It is also the region of Australia with 300 sunny days a year, endless beaches, incredible surfing spots and many other attractions. 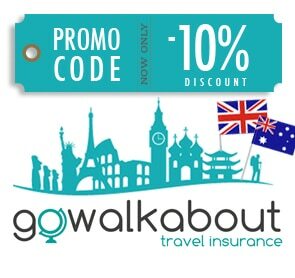 – Gold Coast International Airport: Located in Coolangatta, 25 km south of the centre of the Gold Coast. This airport is connected to major cities in Australia and also offers direct flights to international destinations such as New Zealand, Japan, Hong Kong, Singapore, and Kuala Lumpur. 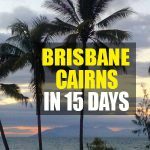 – Brisbane International Airport: Located in northeastern Brisbane, this airport is much larger than Gold Coast Airport and is therefore ideal for international travelers. Trains connect the airport to the Gold Coast. Translink trains depart every 30 minutes from Brisbane to the Gold Coast and back. From Brisbane Airport, trains run via Brisbane Central Station and Downtown, Helensvale, Nerang, Robina and Varsity Lakes to the Gold Coast. It takes about an hour from Brisbane central station to Helensvale. – The Greyhound Company offers several daily cruises from Brisbane. Buses stop in Southport twice a day, in Surfers Paradise five times a day and in Coolangatta four times a day. – Premier Motor Service stops at the Gold Coast on the Brisbane-Sydney and Brisbane-Lismore routes. From Brisbane, they offer two daily trips to Southport, Surfers Paradise or Burleigh Heads and one to Palm Beach. 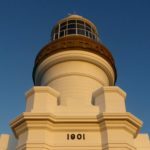 Whether you are coming from Brisbane in the north or Byron Bay in the south, you take the Pacific Motorway (M1) and drive about an hour to the Gold Coast. The mild subtropical climate (65% humidity) on the Gold Coast is pleasant all year round. With an exceptional 300 days of sun a year and average temperatures of 17.3°C in winter and 25.3°C in summer, the weather is almost always perfect. The seasons are not very pronounced and it doesn’t get really cold. In winter (June-August) is dry season whereas in summer (December-February) it rains more often. Between December and February, the summer season is in full swing. This is not only the hottest time of the year (up to 30 ° C), but also the summer school holidays in Australia. The number of tourists is at its peak. Therefore, this is the ideal season to move to the Gold Coast if you are looking for a job in the tourism or hospitality industry. If you prefer to escape the tourist bustle, avoid this time and go there during the quieter months of March to May or September to November. Every year, the Gold Coast hosts the first leg of the World Surfing Championship, the Quicksilver Pro Gold Coast. The event brings together thousands of fans to see how the best surfers in the world tackle the famous Superbank wave in Coolangatta. The spot is one of the best in the world, with a wave that sometimes runs for 3km between Snappers Rocks and Kirra Point. Every year, you can see whales migrating to and from Antarctica along the southern and eastern coasts of Australia. The GC600 car race transforms the streets of Surfers Paradise into a high-speed track for 3 days. Accommodations at this time of year are quite expensive. Every year in late November, thousands of teenagers gather in Surfers Paradise to celebrate the end of high school. These are the Schoolies! Whether you just want to stay for a few days or longer, there is plenty to do on the Gold Coast! The Gold Coast is famous for its surf spots and beautiful beaches. Spend time on one of the city’s ten beaches and try some water sports. In Broadwaters, you can go surfing, paddle-boarding, swimming, snorkelling, or drive jet ski. If you like the green and tranquility, the Gold Coast has dozens of golf courses on offer, among the finest in the country. If you prefer to go for walks in the shade, set off for a cool break in the hinterland. In the middle of the rainforest, you can go for bush walks, camp, see wildlife and discover breathtaking views. Thrill-seeking people will find the country’s largest amusement parks on the Gold Coast! There is also a novelty in the leisure industry, called Top Golf, which was just opened in 2018. 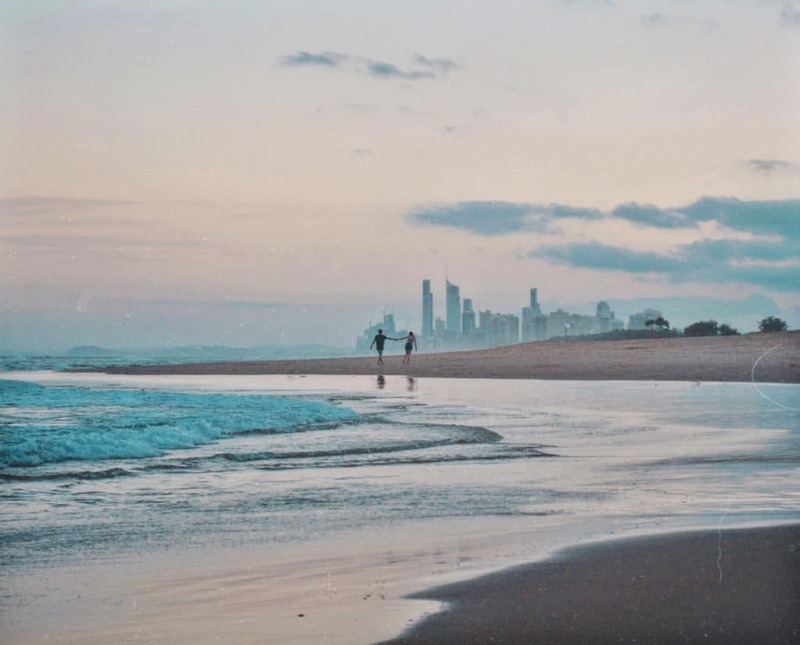 Surfers Paradise is known for its bars, clubs and attractions, Broadbeach for its casino, Burleigh Heads for hipster stores and Coolangatta for its cool vibe. Southport is both the historic district and the business centre of the Gold Coast. 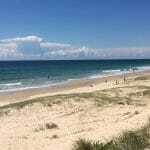 It is one of the oldest and most popular travel destinations on the Gold Coast. The streets of Southport showcase street art and are full of Asian restaurants, turning it into a small Chinatown. If you want to go for a swim in calm waters and do water sports, Broadwater Parklands is the perfect place. Beach lovers head to Main Beach on the other side of the estuary. There are also small cafes and restaurants on Tedder Avenue. This place is undeniably known as the heart of the Gold Coast and is characterised by tall skyscrapers and a long beach. It is also famous for its nightlife, international events and the dynamic atmosphere. 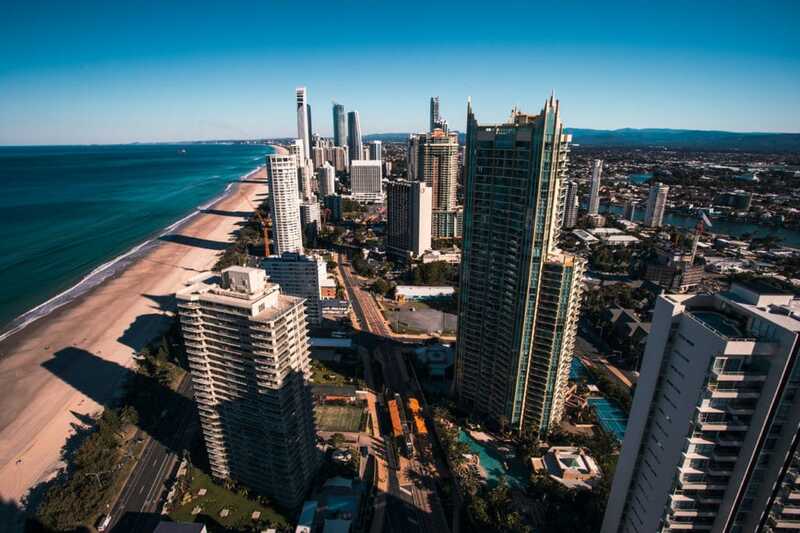 Beside the beach and the many shops and restaurants, the SkyPoint Observation Deck is the main attraction of Surfers Paradise. This 360-degree viewing deck is located 230 meters up the Q1 Tower, Australia’s tallest residential tower. Broadbeach is located off Surfers Paradise and is less touristy. There are also beautiful beaches, waves for surfing, quiet parks to relax and many great places to go out and shopping. Here you will find the Gold Coast Convention & Exhibition Center, the Star Casino, and the Pacific Fair Mall. There are fewer buildings and it is much more relaxed than in Broadbeach. There are some trendy and hip restaurants and bars, from modern Australian to Asian cuisine. On Wednesdays, Fridays, and Saturdays you can stroll around Miami Marketta. In a cool and alternative atmosphere, they offer street food from 25 different countries with good beer and live music. Burleigh Heads or Burleigh, as the locals call it, is the hip Gold Coast area. The beaches are perfect for sun worshippers and surfers, while the National Park has breathtaking ocean views. In addition, the cafes and restaurants are among the best in the area. Palm Beach offers a particularly beautiful beach with some old beach huts in the background. Nestled between Tallebudgera Creek on one side and Currumbin Creek on the other, Palm Beach is one of the most beautiful beaches. Currumbin Creek offers visitors a safe and calm area to swim and is ideal for standup paddling. A few meters from the beach is the Currumbin Wildlife Sanctuary, where you can see many native animals. 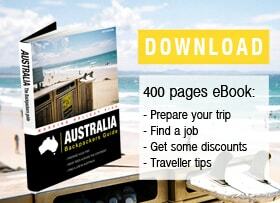 Once you arrive in Coolangatta (Coolie for locals), you’ve reached the end of the Gold Coast. The town is adjacent to Tweed Heads. You can walk up the Point Danger hill and set one foot in Queensland and the other in New South Wales. This is also the perfect place to watch whales between June and September.